Hey guys! I just shared a couple of signs recently that I made for the genre board we are required to do for our Writer’s Workshop…this is a continuation of that post. The genre board is pretty cool. 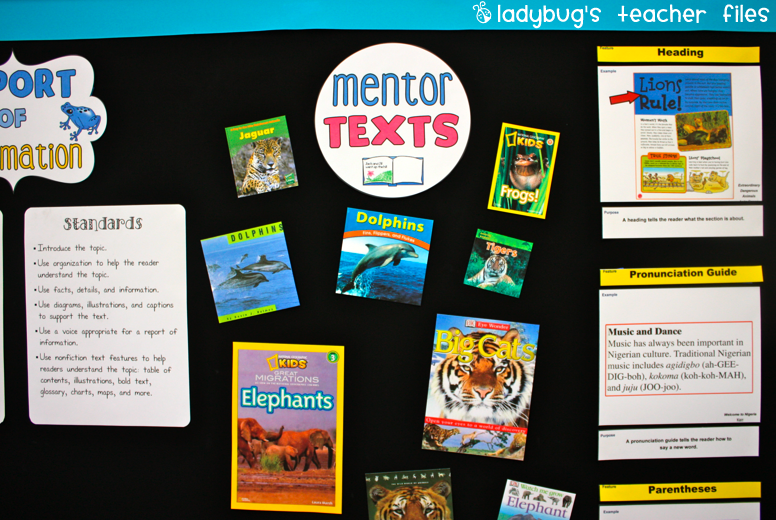 We display some features of the genre, mentor texts, rubrics, and samples of writing. My students will definitely be referring to it a lot, as they are now editing and revising their reports. 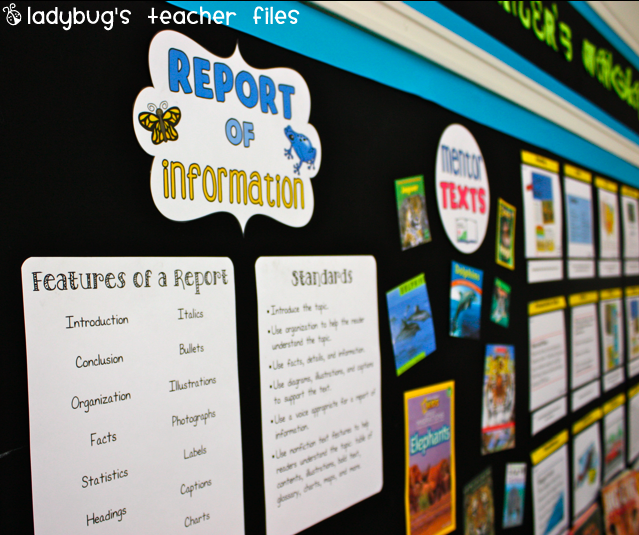 (The nonfiction text feature posters you see are not mine, they were created by Beth Newingham…you can read find them here. My kids and I love them and have used them a lot during this whole genre study!). 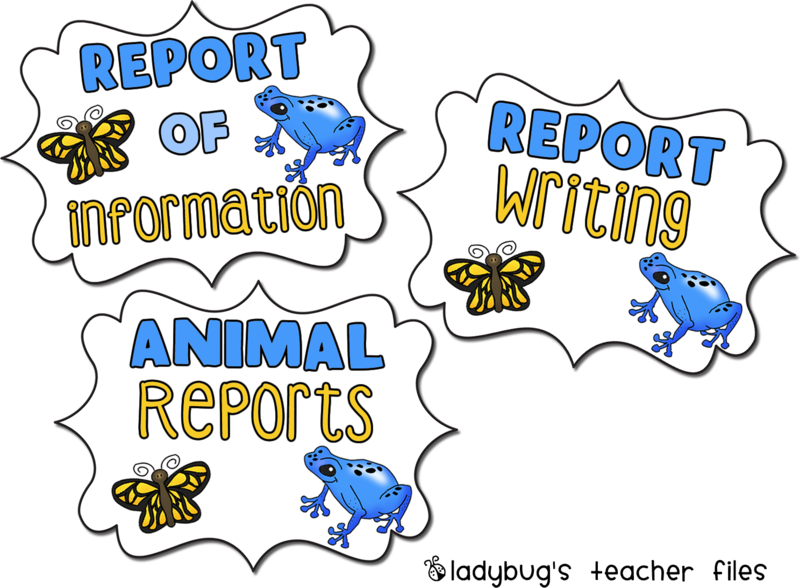 I know some of you may be working on this genre of writing as well…though I’m not sure you need a “Report of Information” sign (that’s the name we have to use). So I made a few different versions to share. Ok, they look kind of boring all together, but hopefully some of you can use one of the versions! I hope someone can use one of the files! 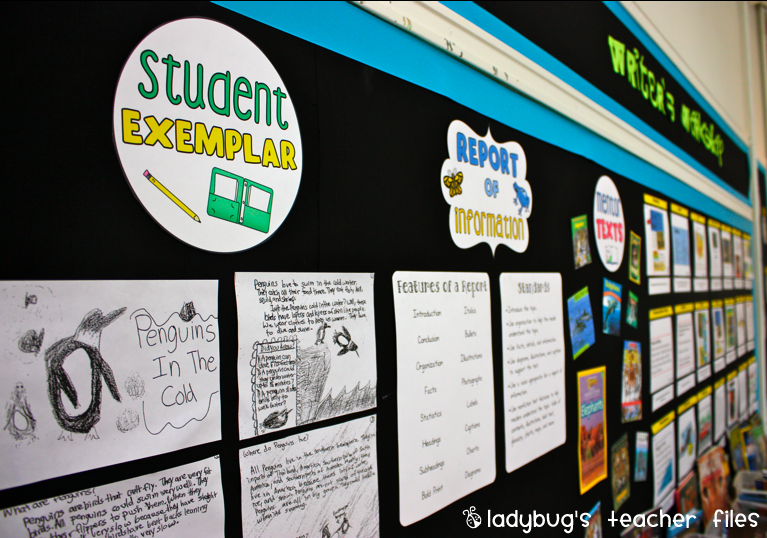 Do you display rubrics and criteria on your bulletin boards? What do you display for your Writer’s Workshop or writing in general? I thought my boards looked good until I saw yours! Each time I see them in a blog post, it makes me want to go tear down my cute fabric and put up black fabric. It's amazing how things just pop on that black! And thanks for the freebies – which are always a-maz-ing! Thanks so much Jamie, your words mean a lot to me! It's my first year of using black…I've always gone for bright colors before with black borders. I'm so glad I did it. I find I don't have to frame my printables with construction paper anymore–I just throw them onto the black and they show up well! Thanks for sharing. I just actually started writers workshop last week. The reading program we use does not use writers workshop and I have not been happy with the way the program is set up. My instructional coach suggested I use Lucy Calkin's program. We have been co-teaching together this week and I already looove it and so do my kids. 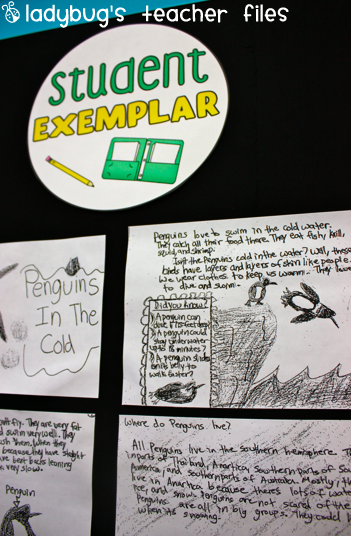 oooo…I've heard a lot of great things about Lucy Calkins. I'm still finding my way with the program we are following this year…I usually like to incorporate many different programs. I should look more into Lucy Calkins again. Thanks for the reminder Kelly! Good luck with your workshop! I know you are one busy lady. I'm just glad my questions haven't been going into the spam or trash. I can't imagine how many plastic drawers it would take to replace my two four-drawer file cabinets. But I do love those drawers and the tops are a great shelf. I would love to know the dimensions of your room. Thanks for the answer. Um, this probably sounds bad but I don't know the dimensions of my room!! I can tell you on Tuesday when we go back. I know each stack of 3 drawers probably takes up about a foot of space (width-wise). I think you'd be surprised at how much each drawer can hold. See, I was a fast responder this time!! lol! I will be printing them tonight! Your creations are so crisp. I LOVE them. I stayed up LATE last night going back and reading your blog from Dec. 2010. I'm almost all caught up. You have such great ideas. One of my favorites, by far, is the color scheme in your room. It is TOTALLY making me rethink EVERYTHING in my classroom. How can I make it work, like tomorrow? I've got a lot of work to do. Thanks for all of the blog posts and inspiration! I am messing around with designing my own blog. Where would you suggest I begin learning about html code? Wow, your boards look amazing! Great job with the printables! I love all of your labels/signs!! Very nice! Your pictures always looks so great. Your boards look great! I have been using the Beth Newingham non-fiction text components too and I love them. It will be nice to get them up in the classroom and maybe use your titles too! Thanks for all of the help. Love the blog! I just wanted to let you know how much I LOVE your blog. I am new to the blog (and teaching) world and I have found all of your posts SO helpful! You board looks fantastic!!! What is your email address? I want to send you a little something as a thank you for all your fab videos that really helped me get started on my blog! Thank you so much for sharing all of your organizational tips. You have inspired me to get organized! Could you share what font / clipart program you use? It is adorable! I can;t download the Animal report poster. help! Help! I cannot download the animal report poster. At file download screen, it just goes blank.